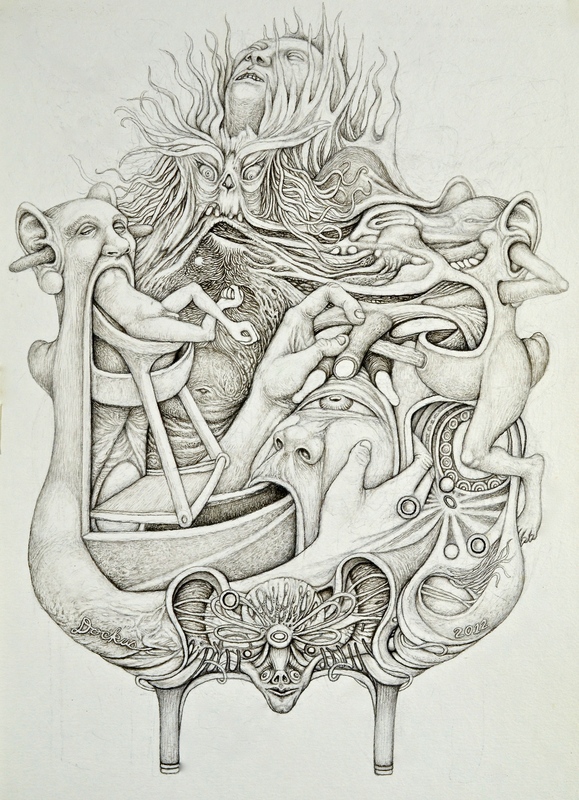 This entry was posted in art, graphite & ink and tagged bizarre, coat of arms, emblem, grotesque, heraldry, metamorphosis, outsider art, surrealism, transformation. Bookmark the permalink. Rad! There is something about this drawing that reminds me of a more refined Nick Blinko style of art.